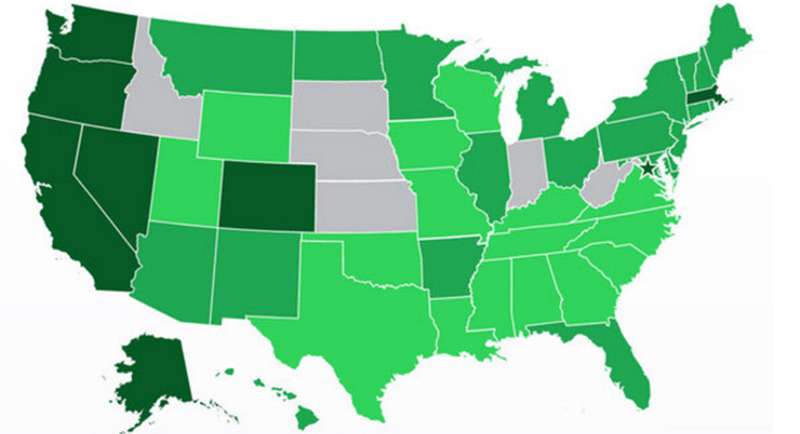 Marijuana is becoming legal in more states every year and to a greater degree. One of the biggest changes in the Marijuana industry is the advent of vaping wax using cannabis concentrates. These concentrates as you may have guessed concentrated forms of MJ. The key component is they are higher in THC and provide the consumer a way to enjoy the effects while taking in a lesser degree of carcinogens and tars. See how easy it is to liquidize these concentrates. These concentrates are readily available in MMJ and Recreational marijuana dispensaries. These cannabis concentrates go by many names, often the name corresponds to the look and feel of the concentrate. Here are some of the names of concentrates that are popular. All of these concentrates work excellent with liquidizers. Liquidizers are a relatively new product that enables a marijuana concentrate connoisseur to turn wax to oil you can see 2 great videos showing how to turn wax to oil here or watch the one below. Like most new products there is a range of quality and refinement that comes with anything new. There are a few key aspects that any liquidizer should provide to the consumer. The first is quality. This takes into consideration the quality of ingredients. Are they safe for consumption? The next quality is ease of use. Is it fast and easy to use? The next quality issue where many liquidizers fall short is separation. Does the vape oil once mixed stay in a nice consistent viscosity or does it layer like oil and vinegar in a salad dressing? The proprietary blend of ingredients used by Wax Liquidizer is the highest quality providing the user a safe easy to use product that provides a stable wax infused e-juice that does not separate. The quality standards for liquidizers are set by Wax Liquidizer. The second aspect of a good liquidizer is all about taste. What good is it to have some great e-liquid made from shatter if it leaves a bad taste in your mouth? There are a few different marijuana concentrate to liquid or liquidizers on the market. Some of the reviews on these make note of nasty aftertaste and a chemical type taste. If you Google EJmix Taste you will see Google gives you the EJmix taste bad auto-complete in your browser…. Just sayin. Wax liquidizer has 6 great tasting flavors. If you can’t make up your mind they also offer a sample wax to vape pack complete with an e-juice mix kit. Flavors offered are Grape Ape, Banana OG, Pineapple Express, Ice Hit, Strawberry Cough, and of course Original. Just as Wax Liquidizer uses only the highest quality ingredients in the liquidizer it does not stop short when adding flavor. All flavors used by Wax Liquidizer are formulated from base ingredients of Herbs and Fruits. The concentration of these flavors is blended to perfection. In fact when you combine the quality of our ingredients, ease of use, and great taste it’s easy to see how Wax Liquidizer was presented with the “420 Product of The Year” in 2016. When it comes to turning MJ concentrates to Vape Juice see just how easy and Tasty Wax Liquidizer makes it….